Around the walls Novgorod Kremlin there is a well-maintained path, it is a pity there are few benches, but small lamps. Well, when I was undergoing repair work and most of the circuit trails were closed. 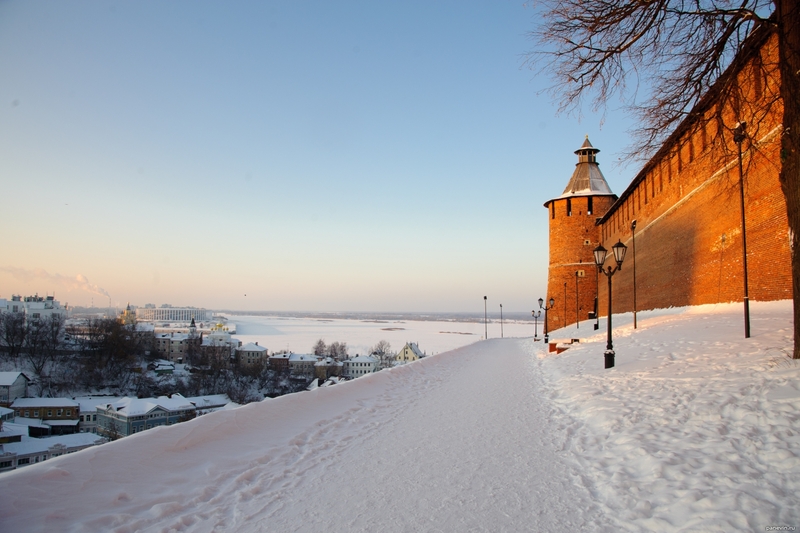 Blog, posts fortification, fortresses, Nizhny Novgorod, Nizhny Novgorod Kremlin, river, Volga, winter. Volga — greatest and big russian river in central part of Russia, views of Volga on a photo.